Join us to educate, inspire, and empower leaders to apply exponential technologies to address humanity's grand challenges. 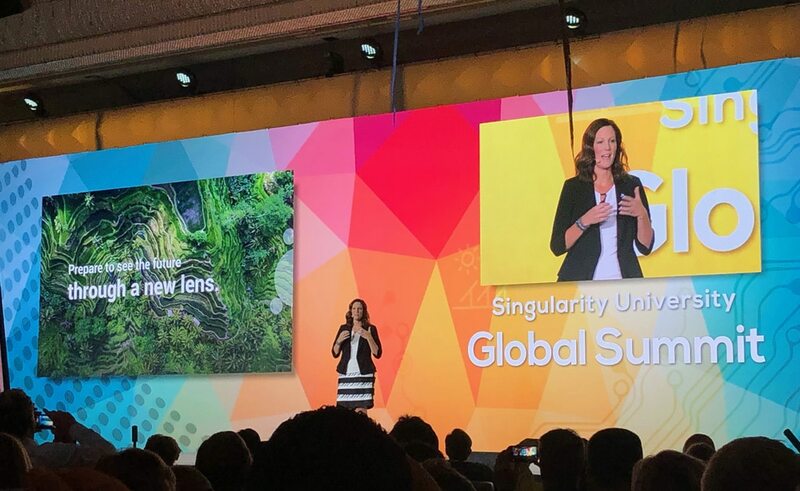 SingularityU is a part of Singularity University (SU) – a global learning and innovation community using exponential technologies to tackle the world’s biggest challenges and build an abundant future for all. We run education, innovation, and impact programmes throughout the world, which help entrepreneurs, corporates, and organisations create breakthrough solutions that leverage rapidly accelerating technologies such as artificial intelligence, nanotechnology, blockchain, and digital biology that can positively impact millions, if not billions, of lives. SingularityU South Africa is a part of Singularity University with its headquarters in Johannesburg. SingularityU South Africa aims to build an empowered network of globally connected changemakers across Africa, who are able to innovate and implement solutions that will solve some of the Africa’s – and the world’s – greatest challenges. SingularityU South Africa runs custom education, innovation and impact programmes that help others leverage rapidly accelerating technologies in innovative ways to unlock solutions that can positively impact millions of lives. We want to #futureproofAfrica into the Fourth Industrial Revolution and not chase the tail of disruption. Our education and innovation programmes are designed to help you navigate the accelerating change that we are all experiencing. Together, we will design the optimal solution for your organisation regardless of whether you need educational programmes for your c-suite or management level, talent development for your rising stars, facilitated x-divisions to innovate on the edges or space for a select group of your people. 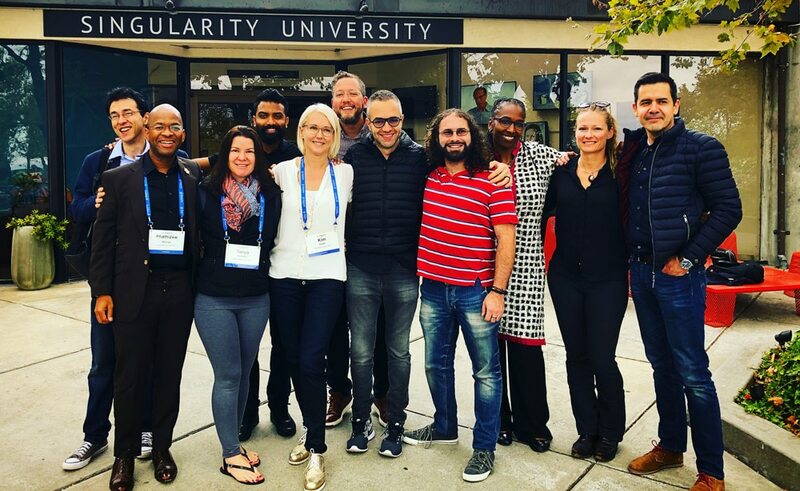 At SingularityU South Africa, you will not only meet and work with South Africa’s foremost experts on converging technologies and innovation but also gain access to Singularity University’s global network of thought leaders, scientists, entrepreneurs, and executives. Join us in Johannesburg, 16-17 October 2019. South Africa is in a unique position to take lead and be a role model for the world. If we combine Africa’s proud history of ubuntu and community building with the best from exponential technology's incredible innovation and scalability potentials, then Africans can help to shape the future of the world. Join over 1 800 leaders and change makers at the SingularityU South Africa Summit in Johannesburg to learn the tools and ideas needed to take action and create real impact for your business and society. Our education and innovation programmes are designed to help you navigate the accelerating change that is impacting the public sector. Together, we will design the optimal solution for your organisation regardless of whether you need educational programmes for your management level, talent development for your rising stars, facilitated x-divisions to innovate on the edges or space for a select group of your people. The Global Start-up Programme helps future-focused entrepreneurs transform radical ideas into tangible impact on a global scale. It’s a structured, immersive programme offering start-up-focused educational resources and world-class mentorship from SU South Africa’s faculty and industry experts – in a safe and nurturing environment. The programme aims to scale start-ups into global businesses. We want to inspire you to solve the continent’s biggest challenges and impact the lives of a billion people. Join us in creating a better future! SingularityU chapters facilitate vibrant local innovation ecosystems focused on leveraging exponential technologies to solve Africa’s grand challenges. In South Africa, we currently have chapters in Cape Town and Johannesburg. There are more than 100 chapters worldwide, so no matter where you are travelling, there are like-minded people to connect with. Chapter events are usually followed by a networking session. Join the SingularityU South Africa Newsletter! Sign up for our mailing list to receive our SingularityU South Africa newsletter and become part of a global community of thinkers, innovators, doers, and leaders leveraging accelerating technologies to solve some of Africa’s grand challenges. We'll be sure to let you know about important news, opportunities to get involved, as well as chances to participate in our programmes. It's the best way to stay in the loop!